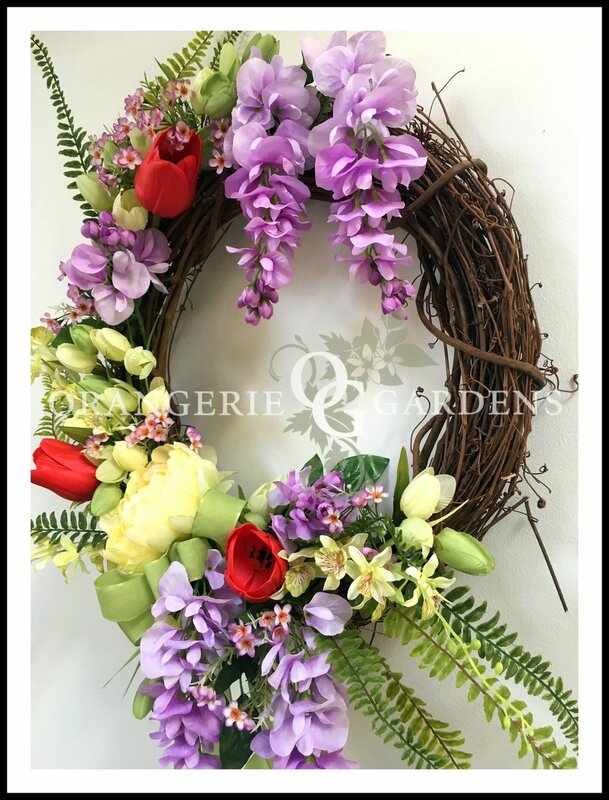 This wreath glows with the radiance of long spring ferns, a large yellow peony, three yellow orchids, tulips in greens and limes, abundant purple wisteria, with textural tiny lavender flowers, and three lush persimmon colored tulips all blend together to create a luxury wreath that makes a clear statement: “Spring has sprung. Welcome to my beautiful garden home". The Wisteria is truly flowing and gives a lovely movement to the piece. 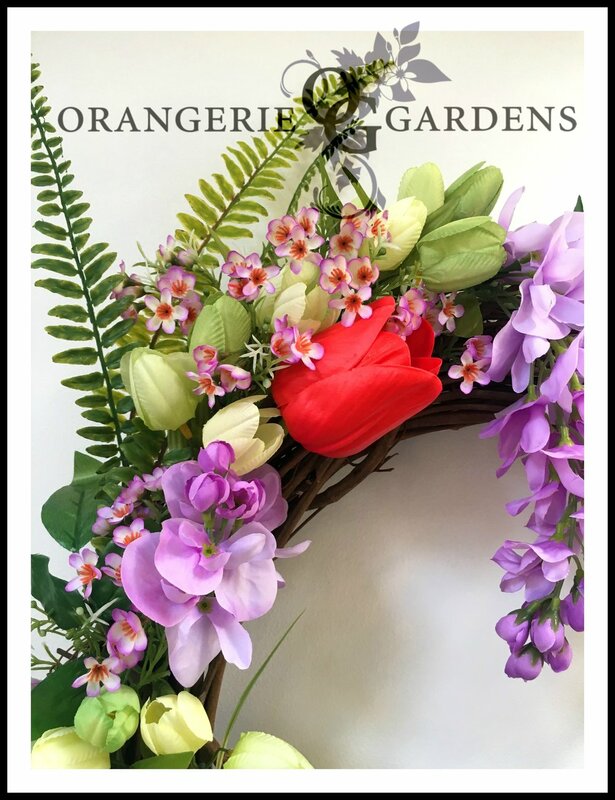 The realistic orchids and ferns provide a tropical feel hinting at Ikebana style floral design. However, the bright tulips are what make the piece glow, flow and dazzle. This one will last for many spring seasons to come. It is truly a unique designer piece to add to your front door wreath collection. Would also make a wonderful indoor spring decoration for your living room. 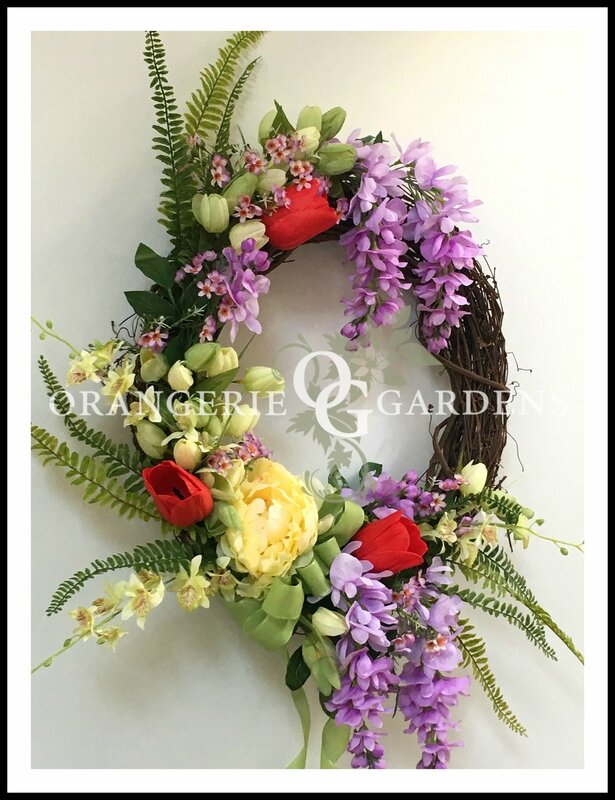 General disclaimer: Placing these designer wreaths in direct sun is not recommended. Front doors with a shaded porch or overhang are ideal to keep colors fresh and prevent sun damage.